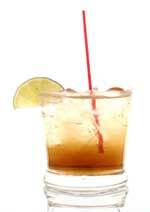 7up Mango Style drink recipe made with Lemon Lime Soda,Rum,. How to make a 7up Mango Style with all the instructions and ingredients. Sweeney&apos;s Rolling Rock Smoothie Nc Style View This Recipe! Bullfrog - Mississippi Style View This Recipe! Bullfrog Kentucky Style View This Recipe! Flaming Dr. Pepper County Style View This Recipe!